← Looking forward to Rocking the Grangemoor & other Gigs! 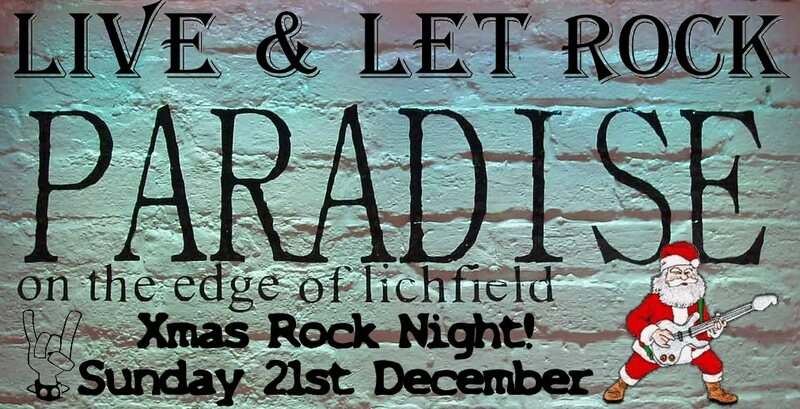 At the Paradise Lounge – Lichfield – Sunday 21st December! Start Christmas with some Rock! The Antidote to all those Christmas songs on constant repeat! Posted on December 7, 2014, in News. Bookmark the permalink. Leave a comment.